This Sunday, soak up the relaxed atmosphere and great live music by Moondog J. at the Boatshed Markets. 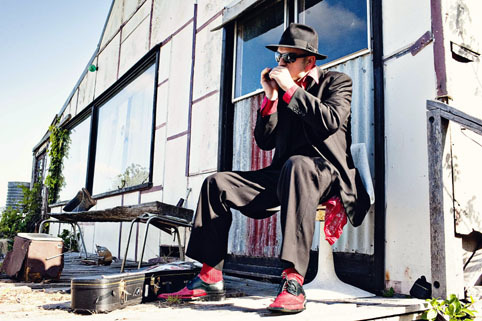 Moondog J is a master of the blues harmonica and a formidable guitarist, singer and song writer. His voice holds a deep authenticity reminiscent of the great Blues singers of the past. Image courtesy of Moondog J.